As the 2018 batch 8 pilgrimage exercise draws to a close, ground handlers of the batch in Israel have organized a special event tagged the 'J.P ceremony' to honour the pilgrims in the Holy Land. The event held at Ramada Hotel, Jerusalem featured the symbolic decoration of leader of the state Delegation, Evangelist Wilfred Sohotyep along side leaders of the various groups popularly known among pilgrims as Bus Captains. In an address at the event, President and Chief Executive Officer, Tailor Made Tours, ground handlers for the Pilgrims, Mrs. Josephine Zinder who could hide her joy at the occasion applauded Governor Simon Lalong for sponsoring a large number of of pilgrims from Plateau State which according to her was "unbelievable." "It is unbelievable that the government could sponsor over 1000 pilgrims from Nigeria." 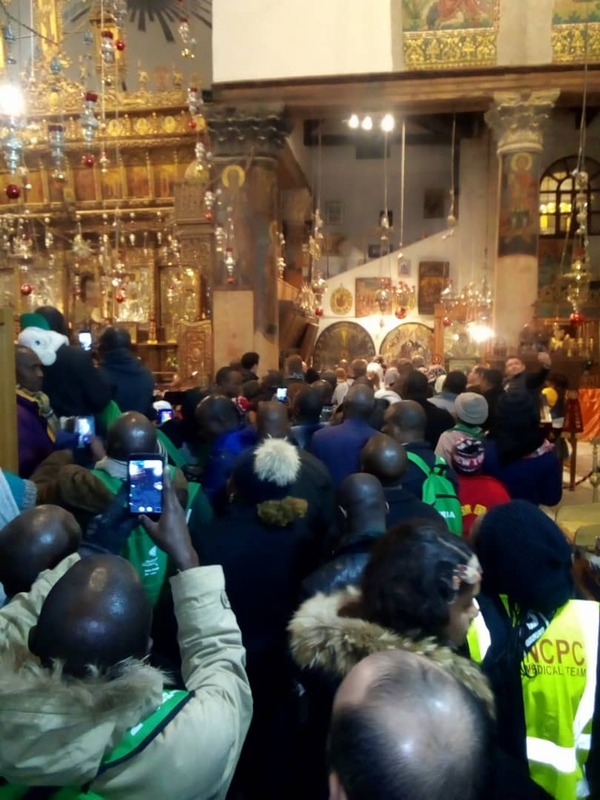 Mrs Zinder announced that Nigeria is the only country in the world sponsoring Christian believers to Israel adding that Kenya has resolved to borrow a leaf from Nigeria as it has indicated it's readiness to commence the sponsorship of pilgrims. In a goodwill message, Executive Secretary of the Nigeria Pilgrims Commission, Rev. Tor Uja represented by Mr. Benson Ameh, commended the Plateau State Government for being a strong supporter of the activities if the commission which he said has helped the NCPC in achieving it's set goals. The event was attended by government functionaries including the Commissioner for Lands, Survey and Town Planning, Barr. Festus Fuanter. Meanwhile, the pilgrims have visited the pool of Bethesda, the birth place of Mary, the mother of Jesus. The pilgrims have also visited the birth place of John the Baptist. During a the visit to Mount Zion, the pilgrims rendered songs of praises and worship to the admiration of pilgrims from other countries who were on ground at the time of the Plateau contingents arrived the place. The Federal Medical Team member were also recognized for the great and job well done under, as good representatives of the NCPC.